In one word - Singapore. To aspire, one needs to be inspired. To be inspired, one needs an inspiring example and story. This is a story that will live in the history of Singapore. 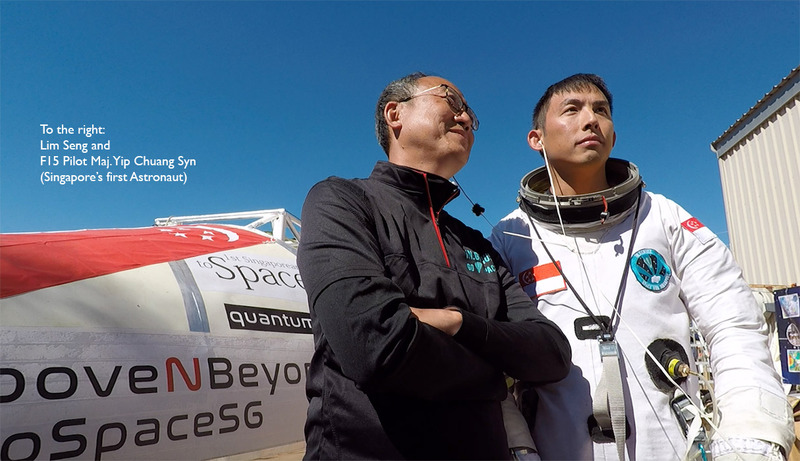 To send the first Singaporean to Space started as an idea in 2012. It was an ambition of one man - Lim Seng, a former defence engineer/scientist. Seven years on, this ambition is shared by many Singaporeans who have been inspired by this journey. In May 2018, the first attempt was postponed due to adverse weather. Not giving up, the team is ready to launch again from 26th to 30th April 2019 in Alice Springs, Australia. 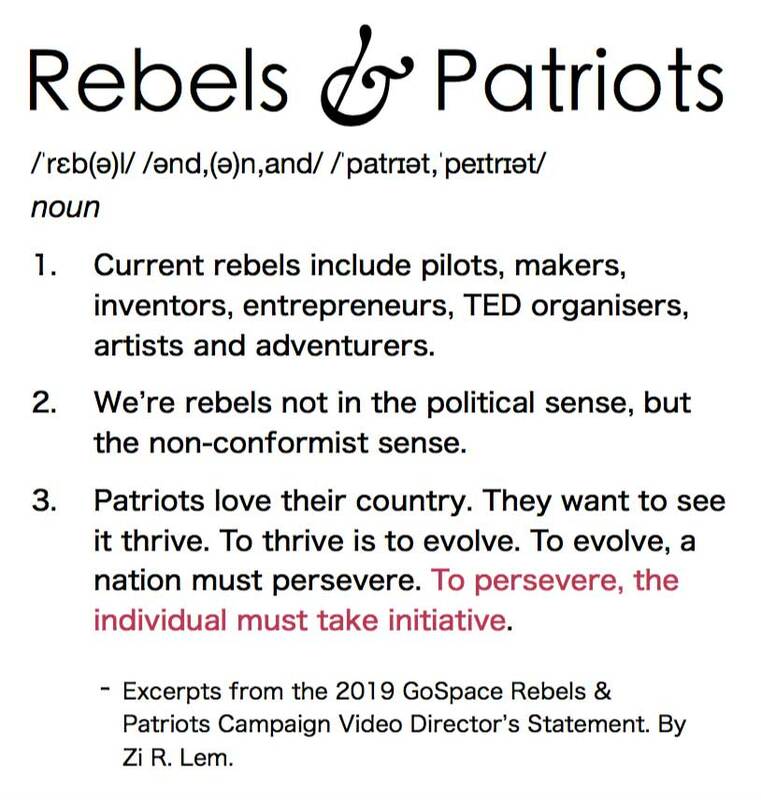 Innovation.Genius [IN.Genius] is a local Singaporean high-tech startup company, striving to send the 1st Singaporean to Space "1S2S" - coined "GoSpaceSG"
The motivation behind this project is to give back to our nation and for national pride. As JFK said, "Ask not what your country can do for you, but what you can do for your country." It is to show to ourselves, not others, that Singapore can do this. Lim Seng placed at LKY's wake a memo that wrote, "Thanks for bringing Singapore from a fishing village to a 1st world country; we shall attempt to teleport Singapore to Space." Next step, we want to innovate and create a "Digital 1Belt-1Road" that operates in the virgin land [between the Armstrong Line @ 20km and the Karman Line @ 100km] so as to stage a Space-Based Internet [as Lim Seng presented at the United Nation ITU Space Resources Symposium Oct2015]. What kind of man wakes up one day thinking, "hmm... let's start a Space Travel business in Singapore?" Sending a 1st Singaporean to Space is "unique" as the FIRST time Singapore has dared venture into SPACE - not by a NASA-size organisation but by an enduring group of volunteers' private effort. Our earnest intent is to show fellow Singaporeans that as citizens of a small nation, we can also do BIG things given the competence, perseverance and grit. From 150 down to 26 candidates. Meet the Singaporeans who have stepped forward and are willing to risk their lives for this mission. SG50 National Space Education held at Resort World Sentosa, Space Expo November 2014. In search of Daring Balloonists for the system drop test using hot air balloon. Consecutive double launch in Alice Springs beyond the Armstrong line of 20km from Earth. "It always seem impossible until it is done." All rights reserved. GoSpace Singapore.